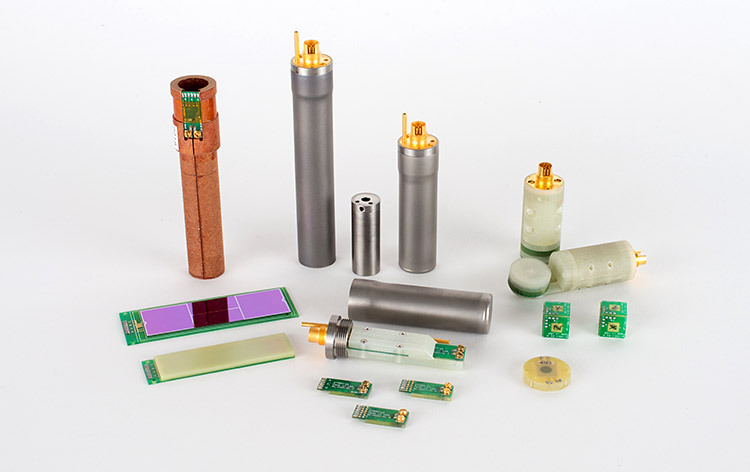 STAR Cryoelectronics offers high-Tc dc SQUID magnetometers and planar gradiometers sealed in compact, button-shaped sensor packages or mounted in complete sensor assemblies with connector interfaces. Large-area magnetometers and mini-magnetometers fabricated using YBCO bicrystal or step-edge Josephson junction processes. Packaged in connectorized assembly, or available packaged in small button-shaped assemblies. STARCryo dc SQUIDs are simple to operate using pcSQUID™, the advanced PC-based SQUID control and readout electronics available from STAR Cryoelectronics. The smooth dc characteristics of the SQUIDs also ensure easy operation using any compatible feedback electronics.